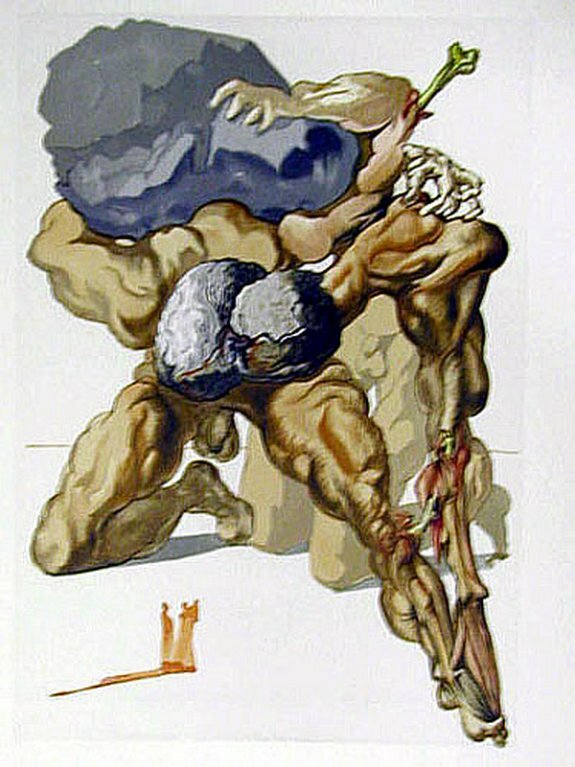 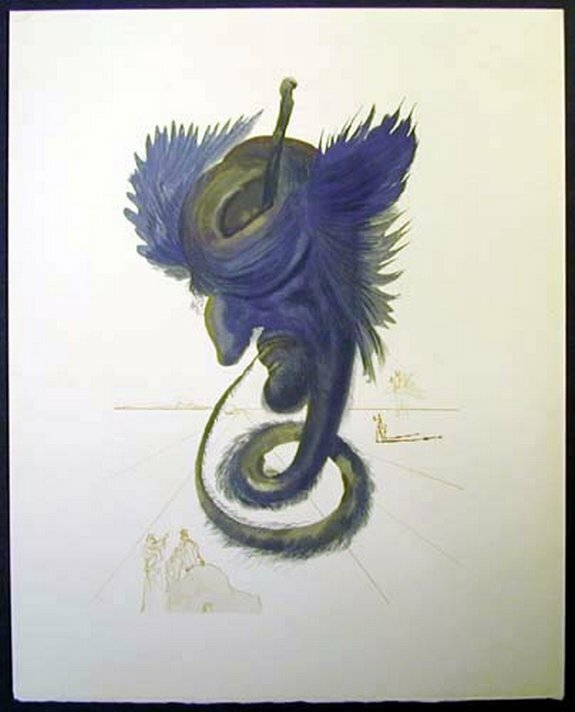 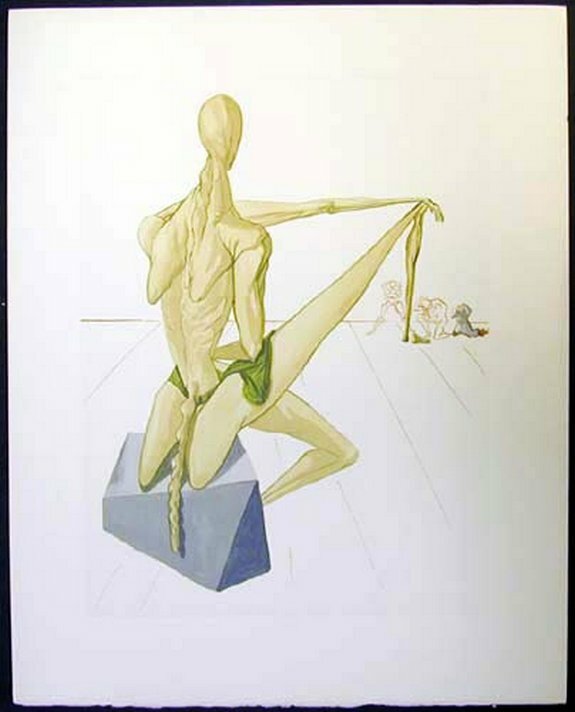 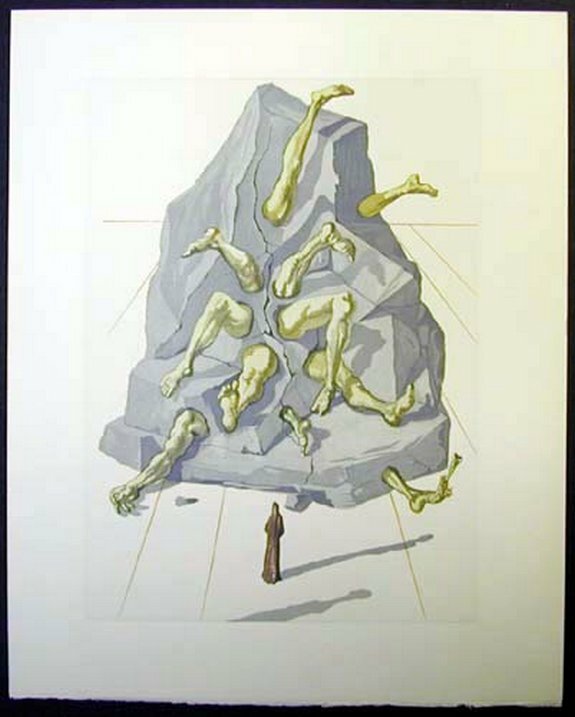 Between 1951 and 1960, Dali created 101 watercolor drawings to interpret the Salvador Dali Divine Comedy, a poem by Dante Alighieri (1265-1321). 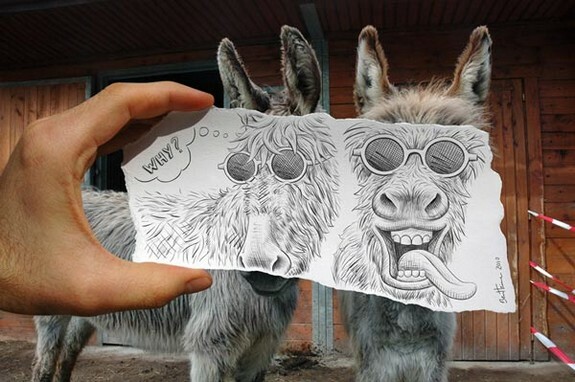 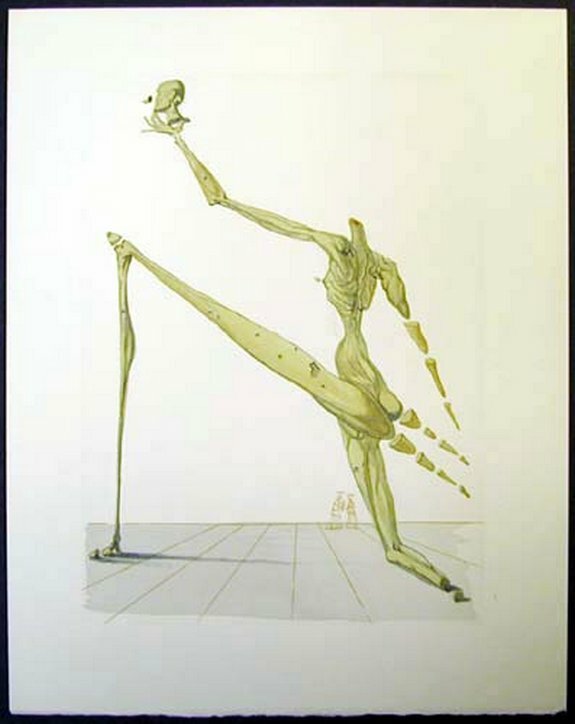 These works have been reproduced using a wood engraving technique. 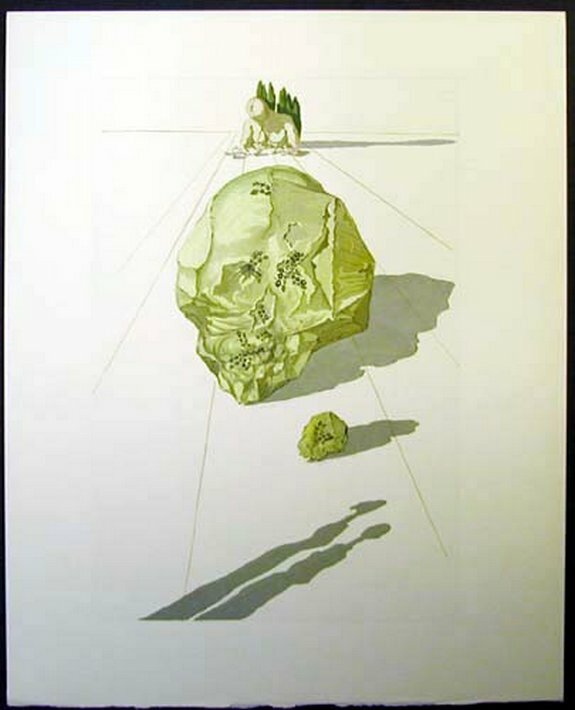 With this technique, wood engravers carved 3500 blocks for the prints that make up the book. 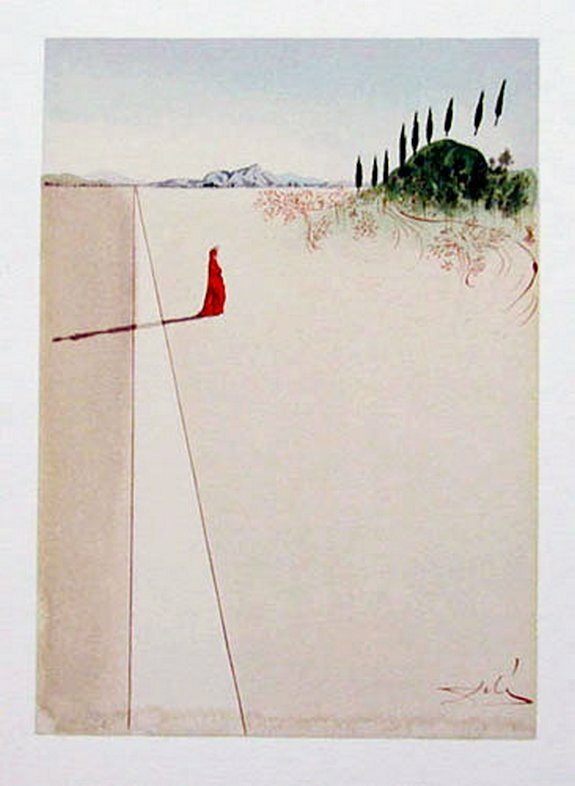 100 woodblocks were published as a French edition by two different editors with a total of 4765 books, an Italian edition of 3188, and later in 1974 as a German edition with a stated size of 1000. 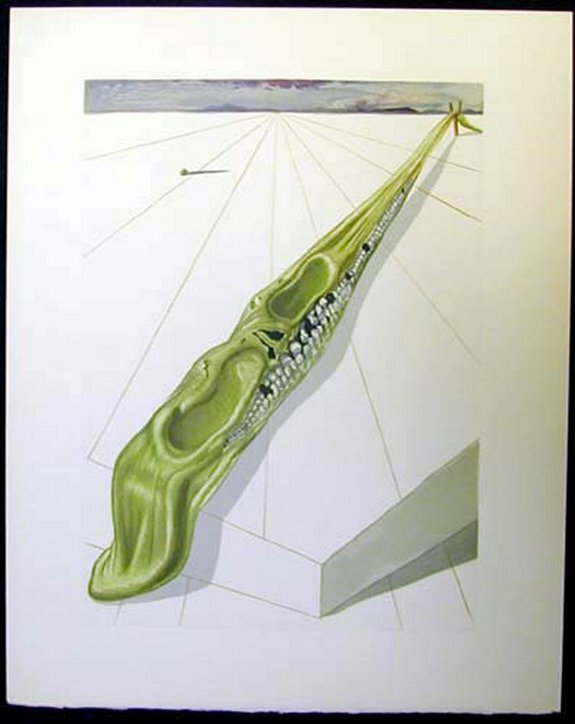 Each volume has a title page, a table of contents, and justification page contained in a cardboard slip case with matching inner boards. 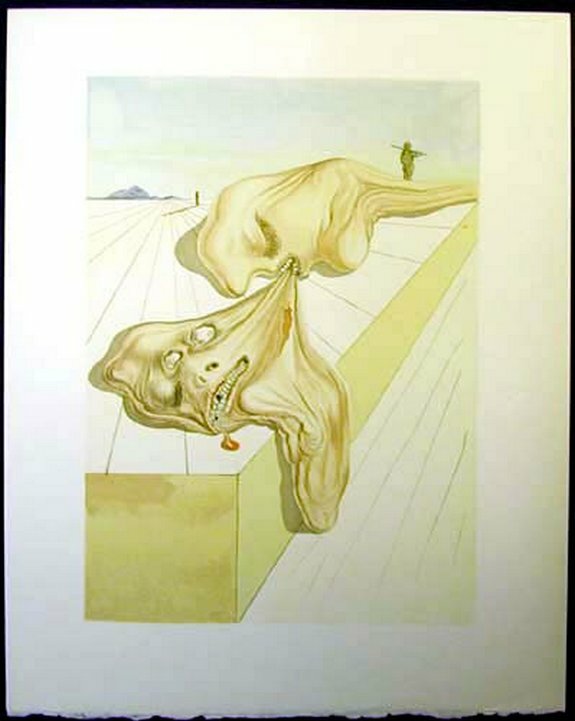 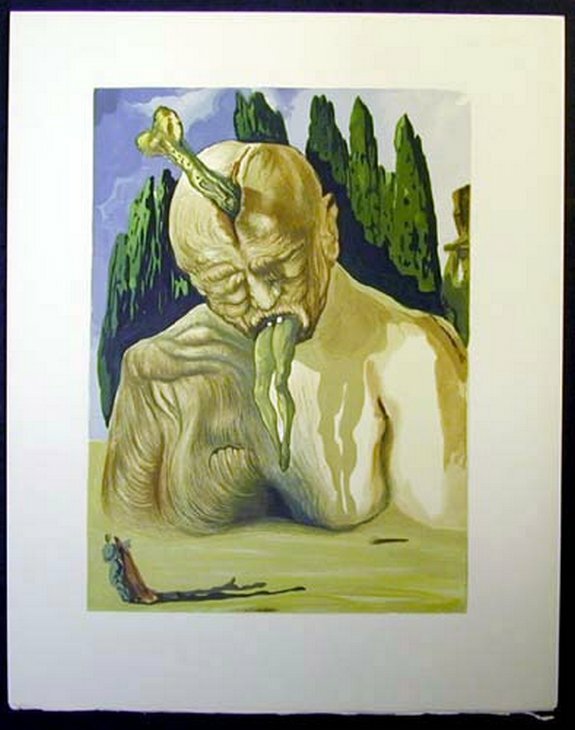 Each woodblock from the Salvador Dali Divine Comedy is part of a Canto or book chapter which is about 8 pages in length﻿. 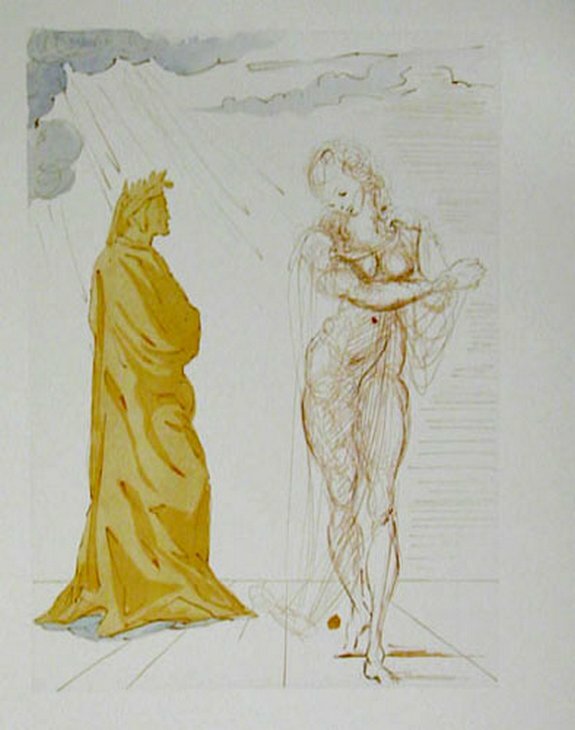 Here are selected works from the first part of Dali’s Divine Comedy – Inferno.